Trustedreviews.com har endelig anmeldt Sony Alpha A300 – Sony’s konkurrent til DSLR kameraer som Canon EOS 450D, Nikon D60 mv. 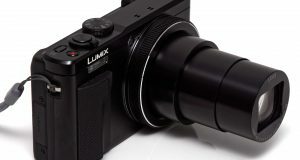 It costs a lot of money to develop a new digital camera, especially a digital SLR, and so having invested in the design and development, there are a number of methods by which the manufacturers will ensure the maximum return on that investment. One such method is to launch a range of models that share several major components, but differ in one or two respects. This is what Sony has done with the three consumer models in its Alpha DSLR range. The A200, the A300 and the A350 all share basically the same body, as well as many of the same features. As the in-between model, the Alpha A300 shares some features with both the models to either side of it. 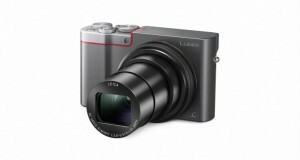 It combines the fold-out 2.7-inch LCD monitor, live view mode and nine-point autofocus system with centre cross-type sensor of the A350 with the 10.2-megapixel APS-C sensor from the A200, the same sensor as previously used in the A100, Sony’s first digital SLR. 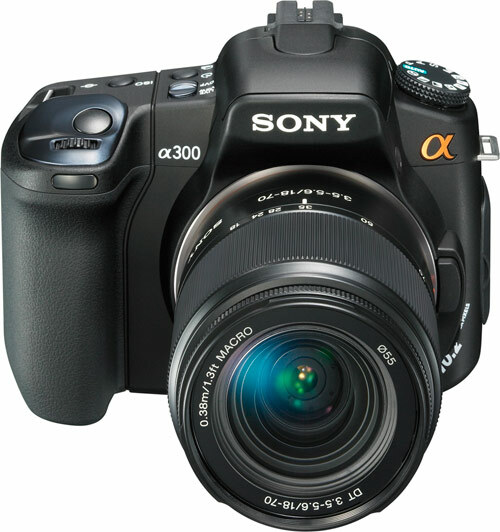 In the UK, the A300 is sold exclusively through the Jessops chain of photographic stores. 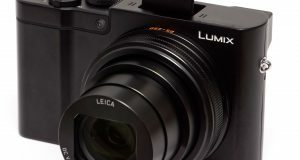 It is currently priced at £289 body only, or £339 including a Sony 18-70mm standard zoom lens, and £469 for a twin-lens kit with a Tamron 70-300mm f4-5.6 Di telephoto zoom. For Jessops this puts it closer to the kit price of the A200 at £289 than to the A350 at £439, although it’s worth noting that some discount online retailers are selling the A350 kit for around £400.